As he dozed off in the car, the three year old’s eyelids drooped and his mind began to drift… Fire breathing dragons; knights in shining armour; and kings & queens from days of yore danced around his head. One of his favourite games, of late, involved him at the centre, as Sir Brave, defeating baddies and rescuing princesses (dutifully played by little brother). But, in spite of his vivid imagination, he could never have dreamt that he was soon to wake up in the middle of a field, in 16th century England; come face to face with King Henry VIII and Anne Boleyn; and witness a fiercely contested jousting competition… But that’s the magic of Hever for you, and all this little boy’s dreams came true on Saturday afternoon, as their jousting season began in earnest. 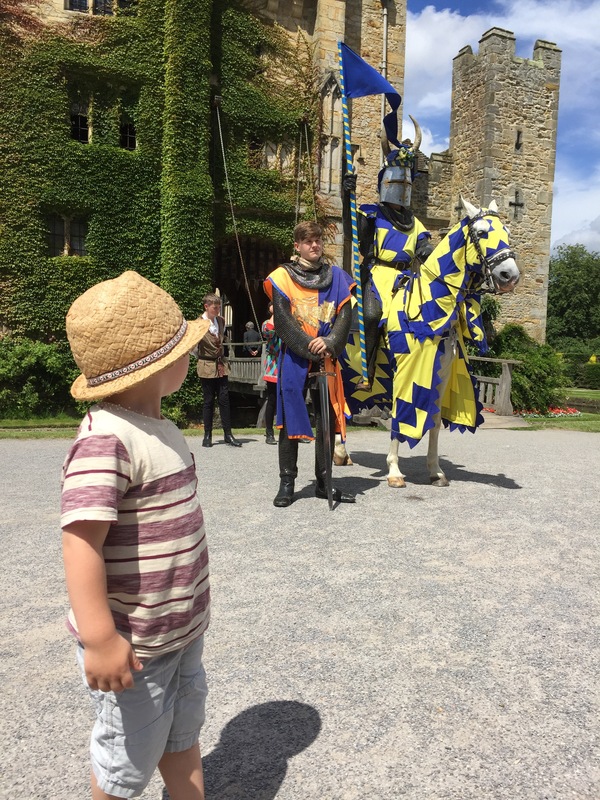 And so off we set, across the grounds, to greet King Henry, Anne Boleyn and their entourage at the entrance to the castle, while Daddy and little brother went straight to the events field to grab a good spot and apply copious amounts of sun cream. 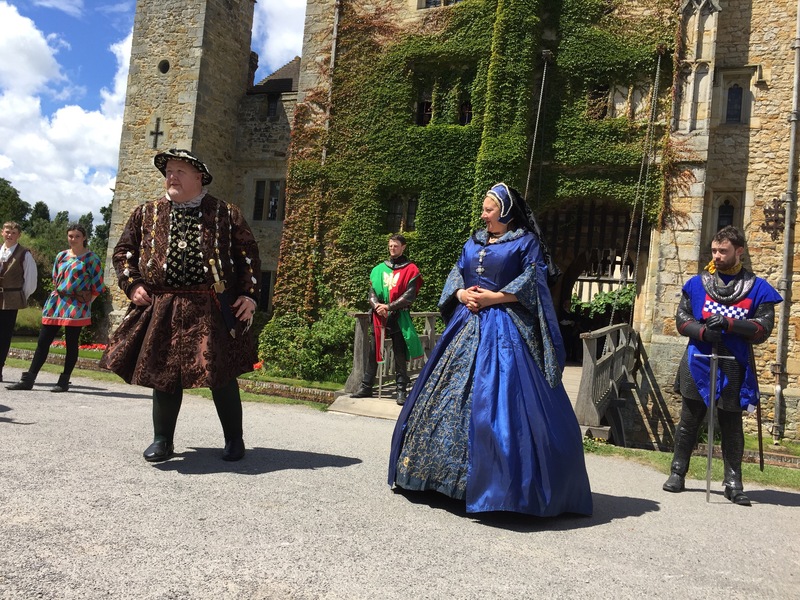 We only had a few minutes to wait before King Henry VIII made his grand entrance from the castle, accompanied by his queen, Anne Boleyn (who had grown up at Hever), and then followed in procession to the Events Field, where the jousting would be held. 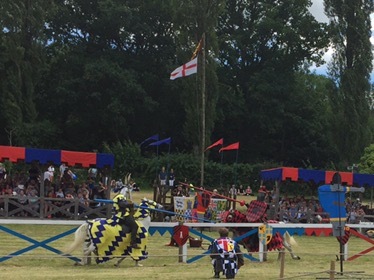 There followed a wonderful afternoon of family entertainment, starring Knights at the tilt, Squires doubling as Jesters and a great deal of high drama, slapstick comedy and all-round good fun, brought to us by the Knights of Royal England. The boys were mesmerised – even the little one who, at just nine months, had no idea what was going on – and couldn’t take their eyes off the action! 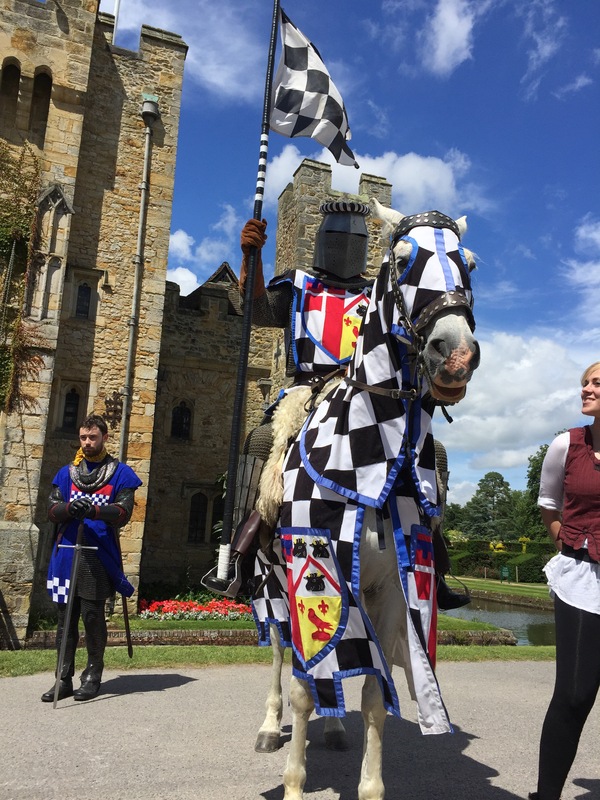 We left the jousting field with Sir Brave sporting a shiny new helmet and foam sword and a discernible spring in his step. The day had been a reward for potty training successes and was a huge hit! 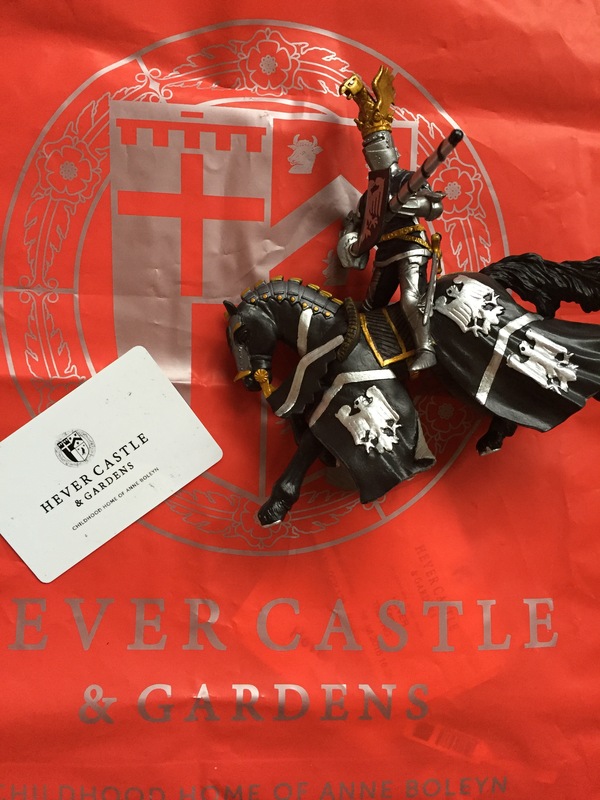 We also took home a model knight and a horse, which he’s named Sir King Henry &, the horse, Anne Boleyn (his choice, not mine). On our way back home, filled with both ice cream and admiration in equal measures, Sir Brave couldn’t stop smiling. “Did you enjoy yourself today?” we asked him. “Yes!! Can we go again tomorrow?” he asked hopefully. 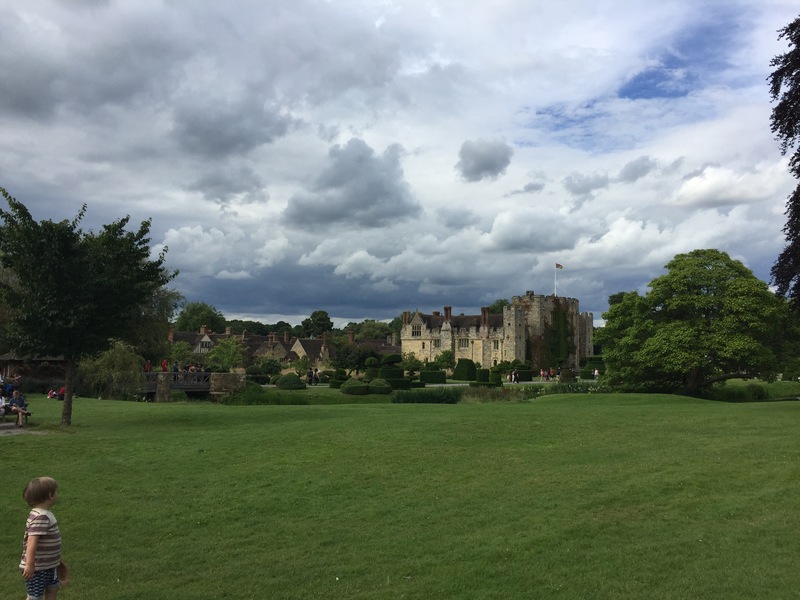 “Not tomorrow, darling, but soon…” In fact, Hever, you’re about to see a whole lot more of us this summer. And I, for one, can’t wait!